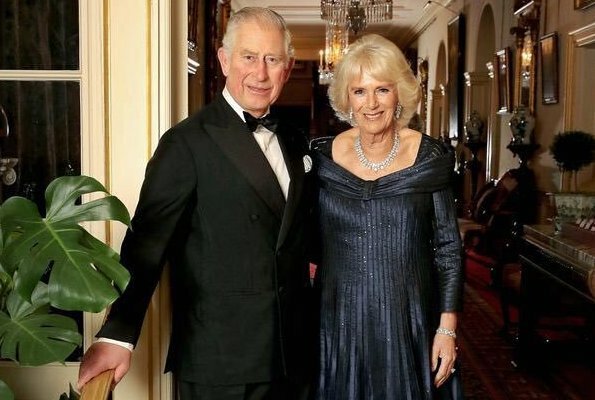 The 70th birthday of Prince Charles, Prince of Wales is celebrates with a birthday reception and an evening banquet at Buckingham Palace on November 14, 2018 in London. 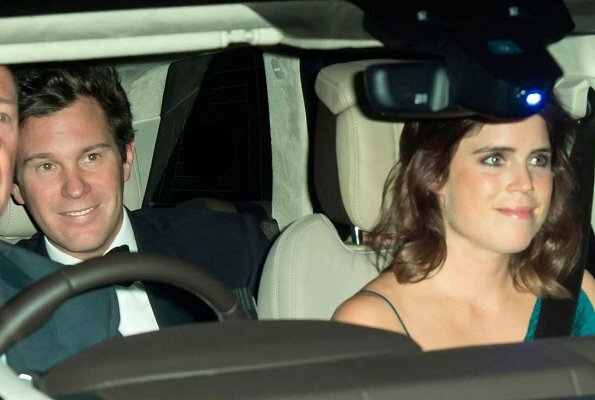 Queen Elizabeth II hosts a big party at Buckingham Palace for his son, the heir to the throne. 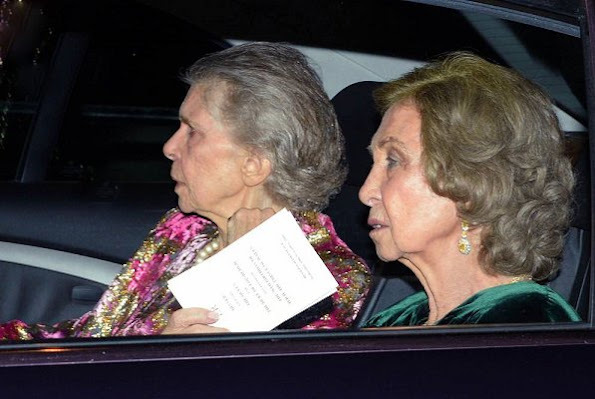 Many royals of Europe were invited to the birthday party. I really hope we will see more pics of this occasion.. 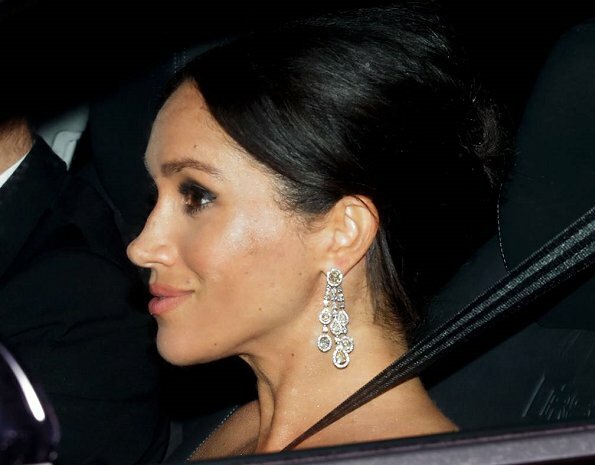 I like both Meghans and Kates hairstyle and earrings, but Meghans hair and jewels are my favourite this evening, her hairdo is really really stylish and chic today. Agree, hopefully we will see more photos! Catherine looks wonderful! Good to see Mette-Marit smile! But I find Eugenies appearance a bit disappointing. Anna, because it looks like she made no effort with her hairstyle and put no jewelry on. Compare that to the other ladies! I see there are more photos now - Mary is stunning! 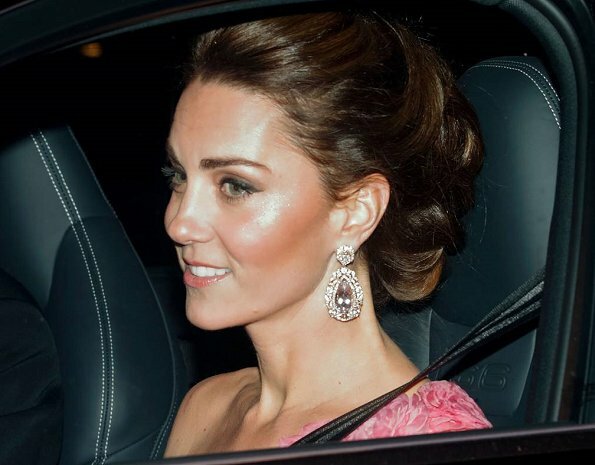 Catherine's hairstyle is one of the best I have seen and her earrings are gorgeous. Wish we could have seen more of her dress. Sonja and Mette-Marit are very pretty. May 70th Birthday of Prince Charles be celebrated by the many people and blessed with peace and love. Mette-Marit looks so lovely. Very pretty hairstyle and gown. She looks glowing in spite of her worrying health issues. Happy 70st Birthday to the POW.I hope every one has a smashing time. Hopefully they will post pics about the guest's dresses. C& c really are a very nice couple. Lisa Nilsson; king, queen, Victoria and Daniel were all invited but they had already Italian state visit coming and could not go. 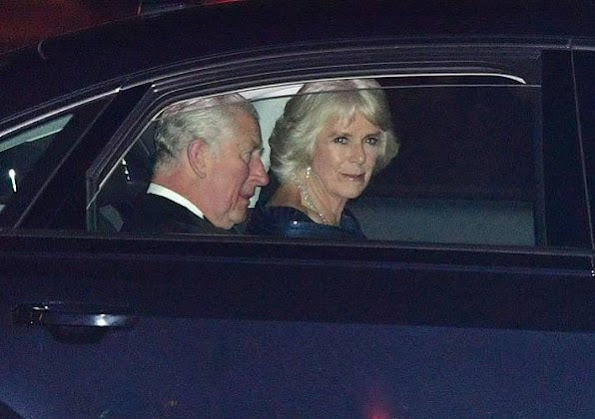 Camilla and Charles both look very distinguished. The duchesses’ updo game is STRONG. 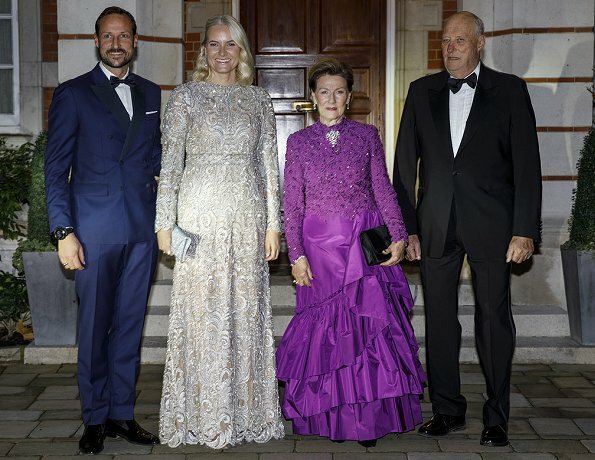 Mette Marit looks lovely. 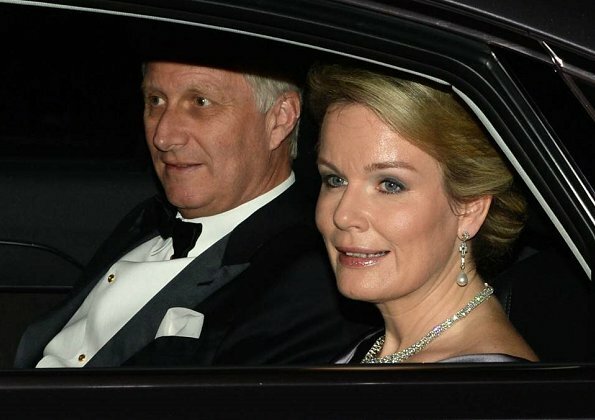 Mette Marit looks stunning what a real beauty? 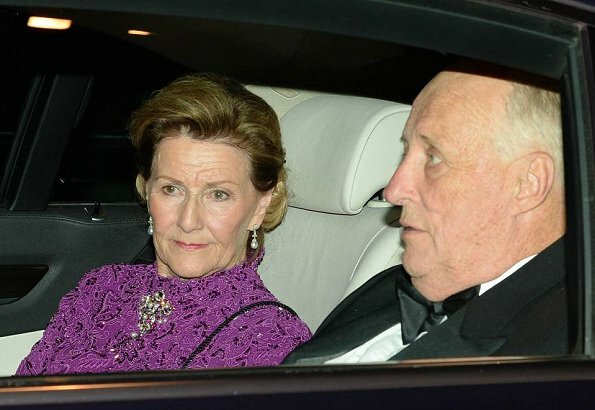 Queen Sonja looks also fantastic. I like her hairdo very much.I wish to see more of the british royal ladies wearing. Charles and Camilla looks happy togerher. Camilla's dress is very nice. 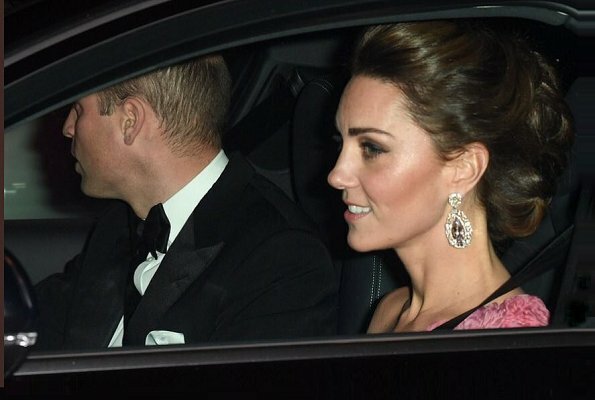 Kate and Meghan has very nice hair style, but I think Kate's earrings looks clumpsy on her. She has 'pretty, little face'. These earrings might look good on somebody older with more round face. 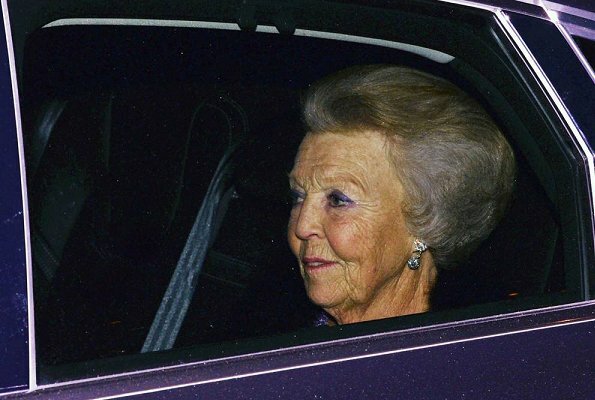 Graag nog wat meer foto s, ook van Filip en Mathilde en de andere genodigden aub. Camilla 's kleed is wondermooi, ze heeft echt goede smaak. Happy Birthday to HRH... 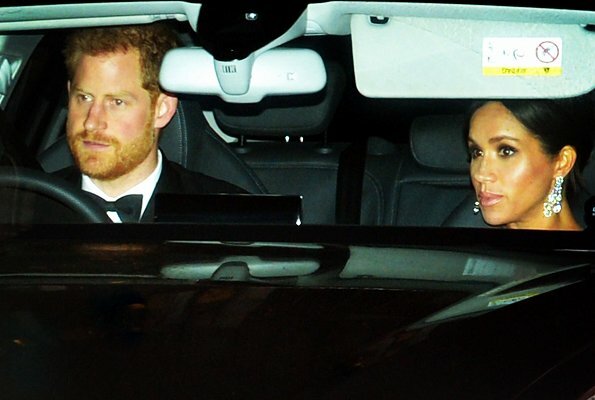 I wish we could see the British Royals OUTSIDE the cars. The other Royals look great, love the gowns. What is it with the blue suits?! 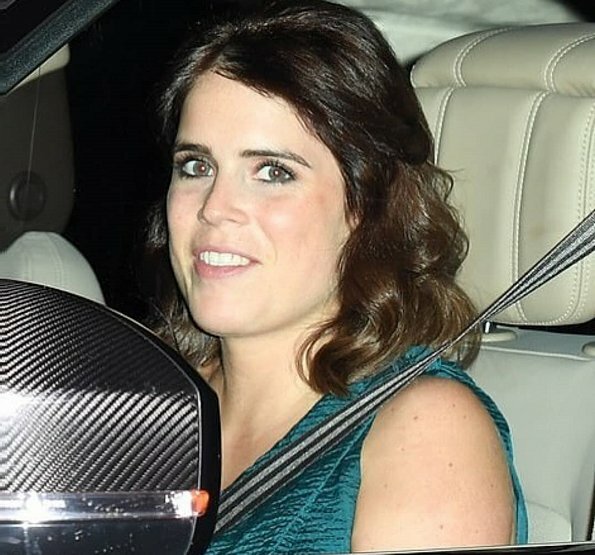 So Eugenie attended on her own? hm Jack had to work? He was there. Sitting in the back seat of the car; she was in the front. Nope, Jack was there too, I saw a picture. In the car Jack was sitting back. Mary's gown is amazing. She looks very good. Carlos y Camilla impecables!! Que hermosa pareja se ven felices!! 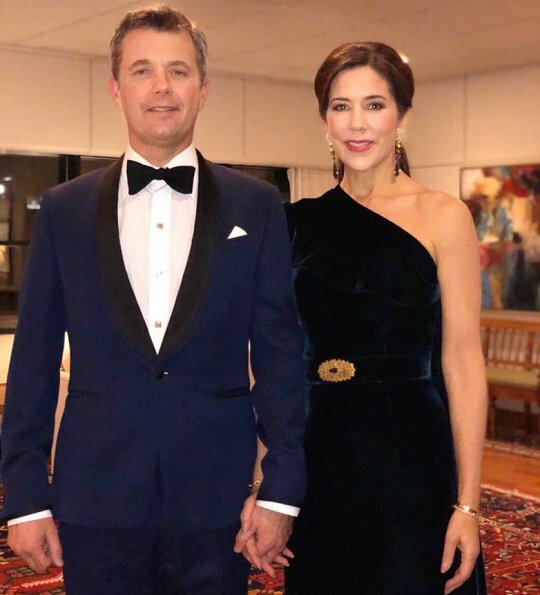 CP couple from Denmark both look stunning . Yes Jean, why, what is going on, why do they never go to these HUGE events together??? All the ladies look amazing and the men look handsome in their smoking. MM looks great. So good to see considering her health. Love her hair down to this dress.